Quynh Pham was born and raised in Vietnam. She moved to the US just 14 years ago. She took some ESL courses at another school before going on to beauty college, and becoming an esthetician. Two years ago, she opened Sparrow Spa, her very own small business. Growing that business is very important to Quynh. Her husband passed away when her son was very young. Providing for him is her highest priority. So, Quynh visited a CCC counselor, who helped her decide which business and ESL courses to take. And, she applied for financial aid, which helped her pay for school. Soon, she was a business student! Now, Quynh loves being a student at CCC. She’s only taken five courses, but already feels like she’s learned a lot. She’s been putting those new skills to work, and is already starting to see results. 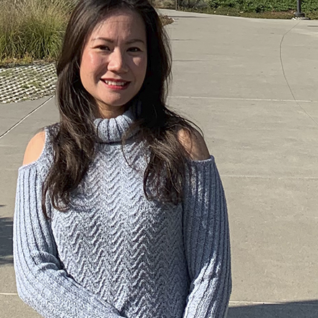 Quynh plans to increase her course load and be more active on campus next semester. She hopes to finish her associate degree quickly, then take some time to grow her business before transferring to a four-year university.